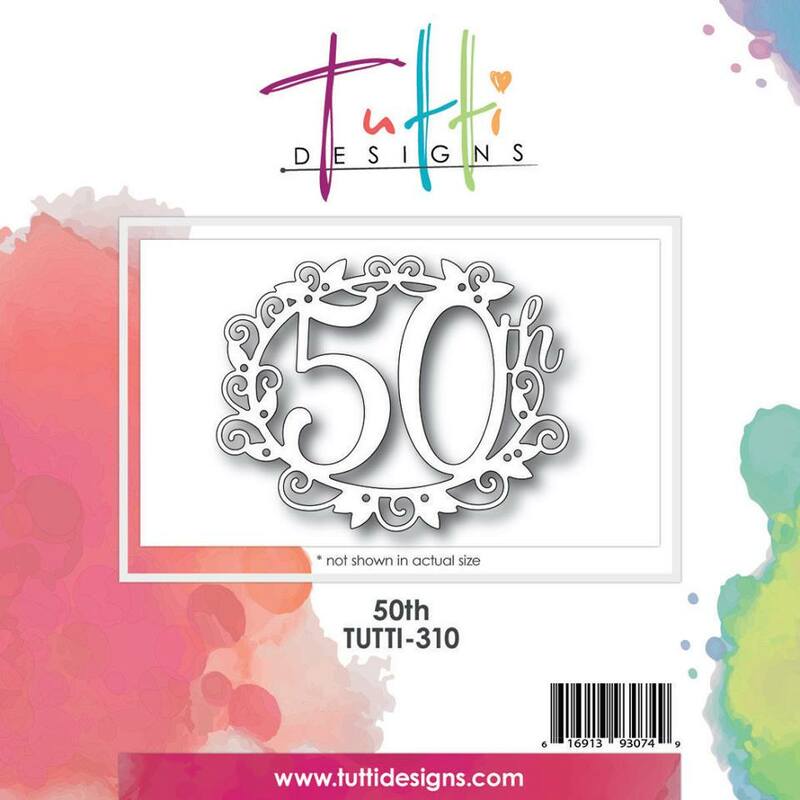 Autumn with you today to share this fun 50th birthday card featuring our fabulous new 50th die. Don't worry, we have a 25th die too if you haven't made it quite that far! ;0 I wanted to do something for a glamorous lady and broke out my foiled paper pad. I cut the foiled floral background layer and then mounted a second panel over it, cutting an oval from the center and bumping it out even further for extra dimension. The 50th die is also raised up. I added four large pearls in the corners to continue the bling effect. I hope you like this modern make. This design would be super easy to replicate in multiples if you are planning a 50th birthday party for someone you love. I hope you'll pin it to remember. Thanks for your visit! WOW! Simply BEAUTIFUL Autumn! Love your choice of background papers ... really makes this die POP! Great inspiration ... thanks! STUNNING! I love that gorgeous gold foiled 50th die cut, isn't it fabulous? Wow! I have that beautiful Designer Paper pack too and love it. Very Pretty!